← Do you know your local elected officials? 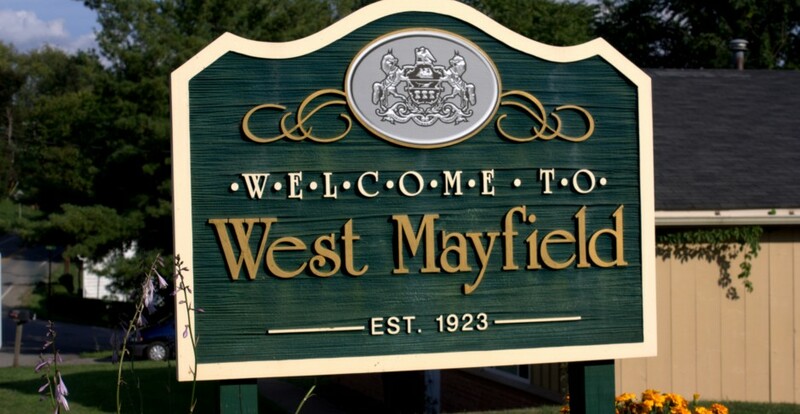 West Mayfield Vets do it again! West Mayfield Vets repeat victory! The Vets last week won the Beechview Wooden Bat 14-U Tournament, upsetting Hopewell 5-4 in the championship game. It was their second win in three years with a 4-0 record. Team members starting front row are: Manager Kip Richeal, Jake Ratkovich, Mark Engel, Noah Damazo, Robbie Swinderman, Austin Craig and Nick Zuchelli. Second row: Coach Dave Ratkovich, Josh McCoy, Hunter Hagy, Michael Boswell, Tristen Stewart, Coach Bob Leist, Cory Chaffee, Brett Thumm, Neil Papageorge, Adam Robinson and Coach Mike Swinderman. Back row: Coach Shane Stewart, Coach Jeff McCoy and Coach Mike Boswell.